E-pharmacies in India have emerged as the latest entrants in the Indian e-commerce ecosystem. The combined attention from both the government and the investors towards this industry has caused the segment to boom in the last four to five years. E-commerce has certainly been among the most talked about buzzwords within the Indian business market for a long time now. In fact, it has to turn out to become of the most thriving industries currently present in India. But the segment is highly penetrated by both national and international players that eventually make it a competitive industry in today’s time. While many e-commerce giants like Amazon and Flipkart are already reshaping the industry with their amazing deals, discounts, products, and services, there are still some segments untapped within the e-commerce industry. One such sector is the e-pharmacy industry which is highly untapped and carries enormous potential in the future of the healthcare industry in India. In the modern time, India has more than 20 startups that are catering under the e-pharmacy segment, digging out opportunities while making the best out of this untapped region. Currently, the Indian e-pharmacy segment potential is worth over a billion dollar which is expected to dominate in the near future. Without any doubt, the traditional Brick and Mortal retail pharmacies have always been in demand that has eventually attracted healthcare investors. According to a statistic, India currently has more than 8 lakh independent pharmacy retail stores that are catering to therapeutic demand. These retail stores are responsible for almost 99 percent of the pharmaceutical sales that occur annually in India. This stat proves that the remaining 1 percent is covered by the e-pharmacy segment which eventually has no comparison as compared to the Brick and Mortal pharmacy segment. The online pharmacy sector in India is gradually speeding up towards a lucrative and profitable future. It is believed that the e-pharmacy segment will emerge as a major segment within the Indian e-commerce industry in the upcoming 5-10 years. Meanwhile, many entrepreneurs and investors are showing interest in investing in the e-pharmacy segment that could probably emerge as the best initiative as a brand. Due to the minimal competition and easy penetration option, one could emerge as a major brand while continuing to serve people within the e-pharmacy industry. The rise of chronic clinical issues like diabetes, asthma, hypertension, and obesity within the Indian population in India has acted as the fuelling factors for this particular segment. Moreover, the government initiative in India that is promoting Digital India, Jan Aushadhi programs is also heavily contributing towards the booming of the e-pharmacy segment in India. 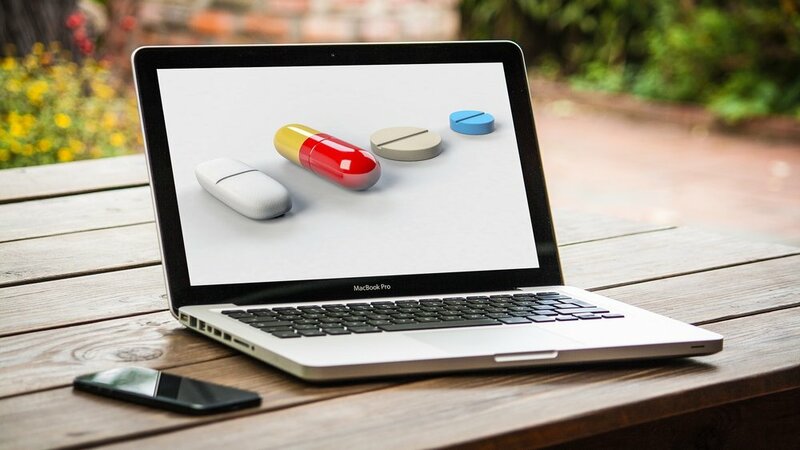 Despite being a niche segment within the Indian e-commerce industry, the e-pharmacy segment is anticipated to grow at a CAGR of over 20 percent, crossing the US$ 3 billion mark by the end of 2020.